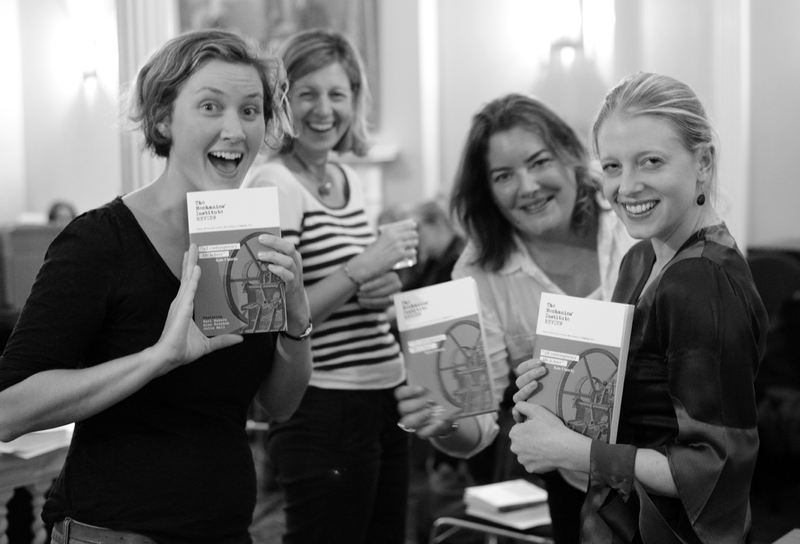 literature | What would George think? This post was contributed by Kieran Falconer, an alumnus of Birkbeck’s MA Creative Writing and an editor of The Mechanics’ Institute Review 11. You can follow the MIR editors on Facebook and Twitter. 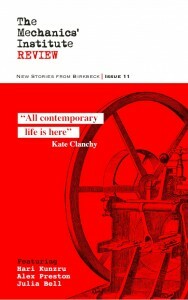 Last week saw the publication of Issue 11 of The Mechanics’ Institute Review (MIR), an anthology of short stories showcasing the best work from Birkbeck’s creative writing students. Teeming with life and energy, this collection offers a remarkable range of styles, themes and settings. But as one of the co-editors, I’m often asked, how does it come about? At the beginning of the academic year – for the past 11 years – there has been a call for short story submissions from students on Birkbeck’s BA and MA in Creative Writing or alumni. Once all the stories are in – usually numbering around 100 – a group of students who have volunteered to be editors are locked in a room and forced to choose the best stories. The hundred stories are whittled down to a manageable collection of around 20 over a six-week period of meetings. This year’s editors are Alison Hitchcock, Rebekah Lin, Luke Terry, Heidi Midtun Larsen, Erica Duggan, Kate Ellis and myself. On subsequent sessions we had to shed a lot of stories which were written by good friends of ours. It was a fairly brutal experience because friendship borne out of university, particularly at Birkbeck, has a special familial feel to it. Going to the George Bar after these sessions and then meeting up with the bright-eyed writers we’d just culled was particularly draining. As the choice of stories narrowed so the decisions became harder. There was no crockery thrown but you had to stand up for a story that you believed in, with reasons, invoking style, characterisation and topicality. Diamonds in the rough that could be improved by editing needed more justification. While this culling went on, other considerations had to be taken into account. MIR is a proper book, it’s professionally copy-edited and proofread, professionally typeset and printed and is on sale on Amazon and in bookshops. A whole raft of bureaucratic paperwork ensues, the ISBN is registered for both book and ebook, forms to be filled for wholesalers so that books can appear on screen in bookshops, and of course there’s the cover! People do choose books by the cover, that’s why designers, artists and publishers spend so much time mulling over them, and writers spend so much time moaning about them. So we spent a lot of time deliberating over ours. In the past there have been some hugely evocative covers, both colourful and emotive, but after ten years of publication, the MIR cover needed refreshing. So it was down to our co-editor Kate Ellis to come up with a new concept and after a few attempts our brilliant typesetter Raffaele Teo refined it into a winning, bold cover that both looked back at our roots but also forward to current design. The Mechanics’ Institute was the first name given to Birkbeck back in 1823 when it was dedicated to the education of working people, so our new cover shows a period printing press with a very contemporary slash of blood red. Once the design has been set and the lucky authors have been told who they are, and the unlucky authors are commiserated with (usually in the George Bar), there comes the process of editing the short stories. This might surprise people not used to the fiction process but any story, novel or poetry is apt to be edited, rearranged, the ending tinkered with, the value of a character questioned, until it is finished to the editors’ and authors’ satisfaction. 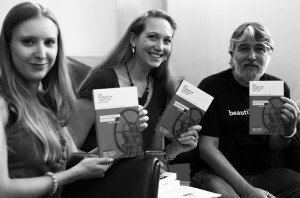 Even for students used to a workshop setting – stories presented and critiqued by the class – this can be quite an intimidating experience but good writers are often both humble and confident, and ours got on with the job in hand. Each of the seven co-editors was assigned a handful of stories to edit, working closely with the authors in several one-to-one sessions over the course of a few weeks. Some needed cosmetic touches, others needed a small transplant – importantly they all had the promise to begin with that made all the editors agree they were worth editing and worth being in the collection. A professional copy-edit by Sue Tyley, to polish the text before it was sent to the typesetter, was followed by a final proofread before it was sent to the printer. The overall process, guided by project director (and Senior Lecturer in Creative Writing at Birkbeck) Julia Bell (who started the publication 11 years ago), is also overseen by Sue Tyley (an excellent editor, who we came to regard with increasing fondness as the mother hen gathering the chicks of grammar and meaning into neat coops). In her introduction, Julia Bell celebrates the protean wildness of the short story and its ability to conjure lived existence, to stir, affect and challenge. The Birkbeck mission statement hopes “that all may develop to their full potential” and these stories from writers starting out on a career, struggling, like many of us, to find the right words to talk about their experience today, are part of that journey to “full potential”. We hope you enjoy the book!